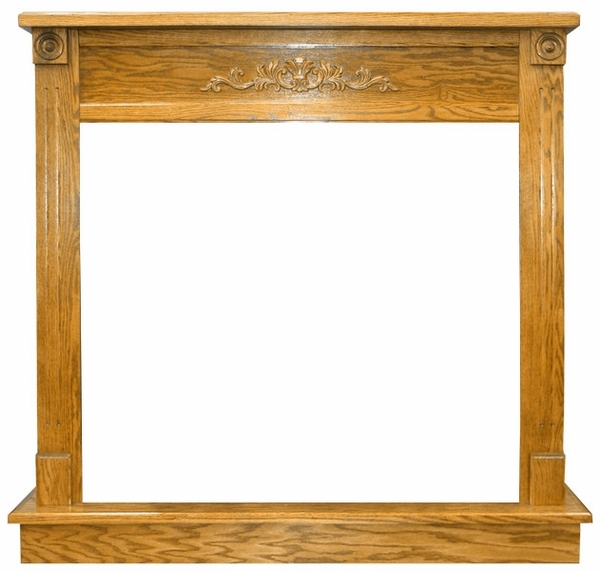 This Buck Stove Deluxe Mantel is made with a light oak finish for the model FP42ZC fireplace. In addition to a traditional color and strong hearth qualities associated with it, you'll find the impression consolidated with the actual materials: solid oak with no MDF fillers. The mantel is made for flat wall installations. With careful and detailed construction made for the FP42ZC fireplace, you should expect a product that is both solid and dependable.